Have you been hit? With 3 girls, I knew it was only a matter of time before…..the invasion of the American Girl dolls! Which in all honesty is partly my fault. When I was little, we got the AG magazine in the mail. I would read that thing like a novel! I loved it! My favorite was Samantha. I loved her long dark hair and Victorian style. Alas, I never got her…sniff, sniff. So I signed up for the magazine and now my girls read it like a novel. They received the Target version for their birthdays, but they are hoping Santa will bring them a real AG! So I have been making some things around here for Christmas to go with their current dolls and whatever Santa brings them:) Yep, I am one of those people who get ready months in advance! I made a quilt sandwich! All basted ready to go! Another reason I wanted to buy these small quilt tops was to practice some techniques. 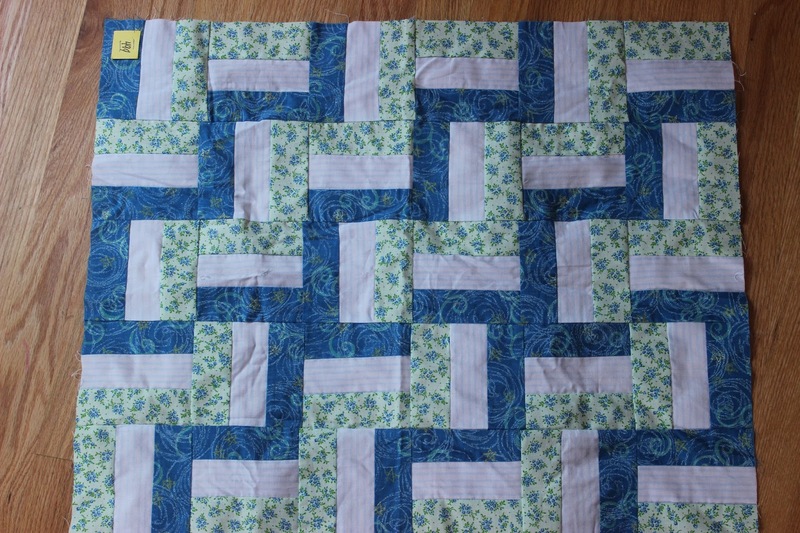 Something I have always wanted to get good at is free motion quilting. I have done straight stitching and stitch in the ditch. 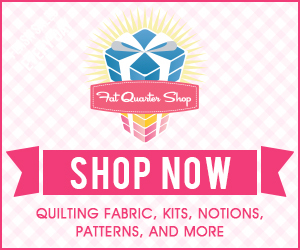 I love the way free motion quilting looks, but have been scared to death to try it! I came up with an idea. I am a bit of a perfectionist and I couldn’t just rush into it. What if I got stuck in a corner, what if I crossed over a line, etc. You get the idea. 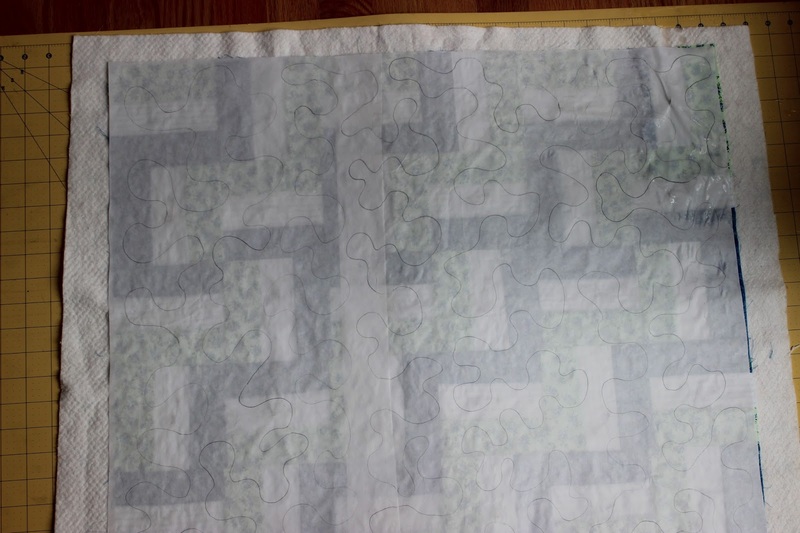 So I cut some freezer paper the size of the quilt top and drew out the perfect meander pattern. I ironed it on. 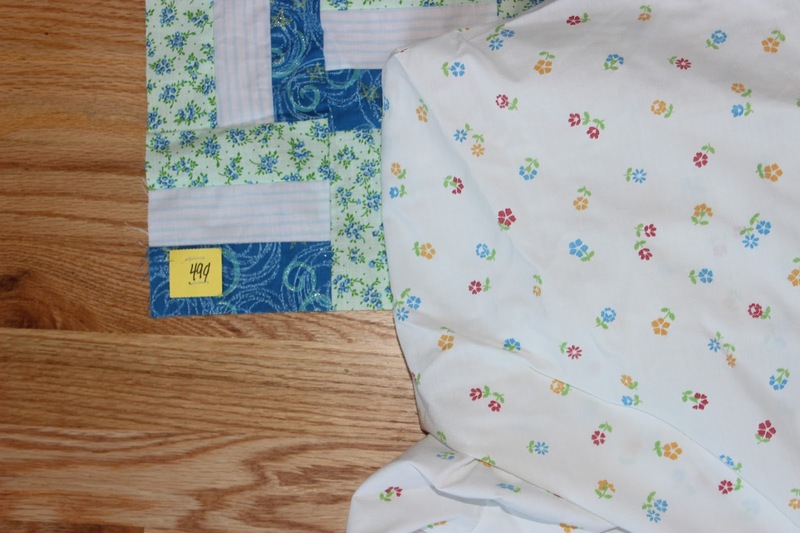 Then started quilting. But the safety pins you say! You are right! I marked where all the pins were on the paper, then I would pull the paper up before I got to the pin. I know this is not the most effective! 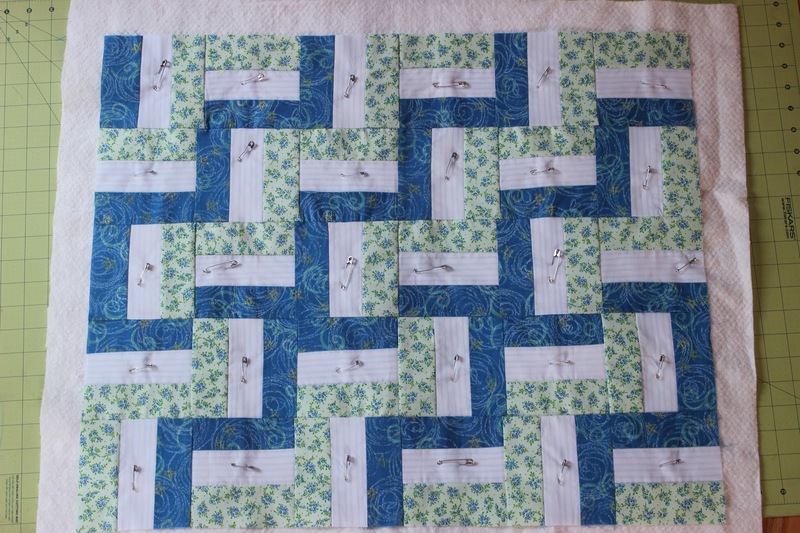 But it worked for me and helped me to get the feel for FMQ without really messing up these beautiful lines I drew. So who is your favorite AG doll? Have you been invaded???? When I was little my brothers had a Weird Al VHS with a bunch of his music videos on it. VHS… I know I know, I am old… and you all are too if you know what I am talking about. 🙂 I can relate to this song because I just had a baby 8 weeks ago. I have only lost his birth weight. Before you get all crazy and think I have low self esteem…. I don’t. I understand it took 9 months to put on and it will take a while to come off. It is just frustrating. It is frustrating to not fit into any of your clothes. 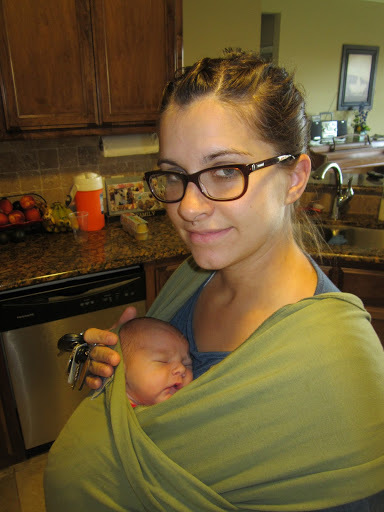 I am at that awful stage where maternity clothes are too big, and my regular clothes are too small. There is a pile of clothes on the floor of my closet of all the clothes I have tried on, realized they were too small, and thrown on the ground. I have bought some clothes to wear in the meantime, but don’t want to buy too many “fat clothes” because I don’t plan on being 20 pounds over weight for very long. 🙂 Which brings me to my point. I haven’t been able to craft very much because of my sweet little boy, so I thought I would just share my favorite work out videos. Not all of us can have a gym membership for whatever reason, and workout videos are a perfect way to get in some exercise while the little ones are napping (or in my case crying the whole time). I have A LOT of DVDs. A lot. I say it twice because my husband wants me to get rid of them all. So if for some crazy reason I could only keep 3 they would be these…in no particular order. I also love any Jillian workout. I like this one because it isn’t straight cardio. She does circuits: 3 minutes of strength, 2 minutes of cardio, and 1 minute of abs. It makes it do-able. You also start out easier and work your way up to the hard ones. If you are like my sister Suzy you do all three levels at once holding 15 pound weights in your hand for the whole thing…. but I haven’t quite reached that fitness level yet. I also like this DVD because it is 30 minutes for each workout. Great for when you don’t have a lot of time. Ellen Barret… love her too. She does pilates inspired workouts. All of her DVDs in “The Studio Series” I love. I like variety and her workouts are not as high intensity as the Bob Harper or Jillian Michaels. 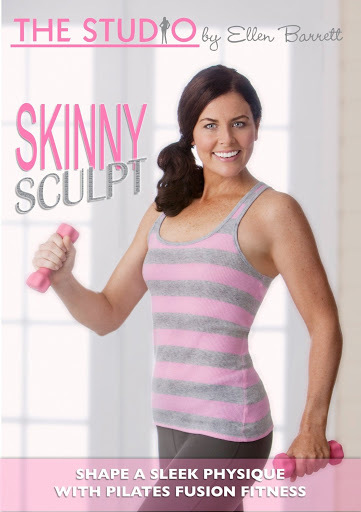 I like Skinny Sculpt because you are holding light weights for most of the workout so it is a great workout for your arms. Just when you think you can’t hold the weights any longer, you switch to abs. She also stretches you very well and I love how you feel at the end of it. Even after putting these three down I can still think of a lot more I would never give up. 🙂 Good thing I will never have to. 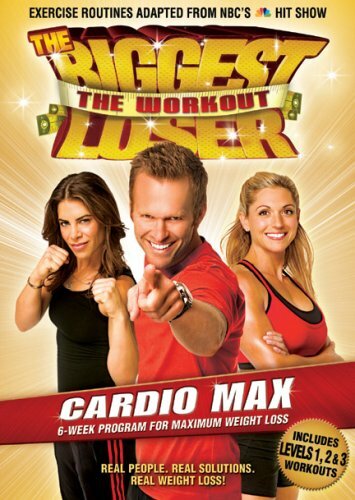 What are your favorite workout DVDs? I am always on the look out for more. Enjoy your work out! When we moved, I went to the store and bought some jam for PB&J. Now you can call me a jam snob. That stuff was GROSS!!! (No offense to Smuckers) My kiddos would hardly touch it. In fact, we have started making PB&H (honey) to make up for it. I finally gave in and bought some strawberries to make jam! Aren’t they pretty? I had to threaten the family to NOT EAT THE STRAWBERRIES so I could save every last one for the jam! 1- Buy the berries in season. June is your best month for berries. They will sell for under $2.00/lb. I have found mine for around $1.25/lb. 2- Sometimes the ‘pick it yourself’ berries in the area aren’t that great of a deal! They will charge about what the grocery stores do and you have to do all the work! 🙂 But check, I just haven’t found any. 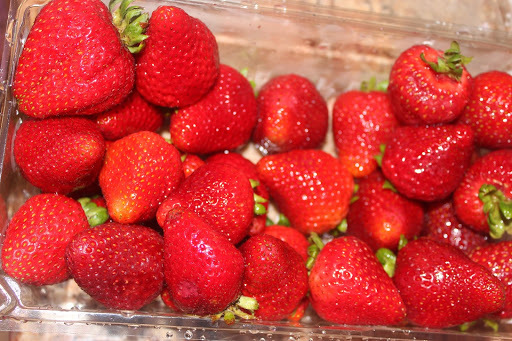 1- You need strawberries, pectin and sugar. Pectin you can find in the grocery store right next to all the canning supplies. 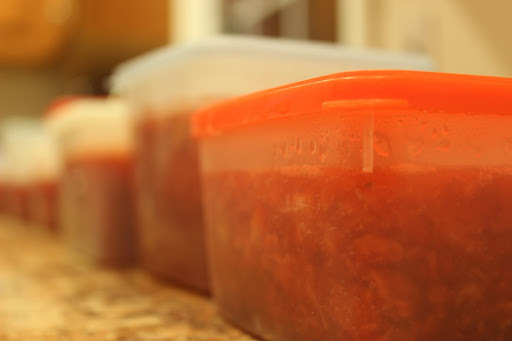 2- Follow the recipe that comes with your pectin. 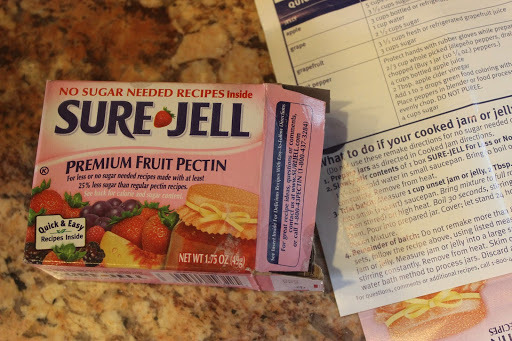 I am not going to do a tutorial here because each brand of pectin has its own recipe. FOLLOW IT! 5- I mash my berries with a potato masher. I don’t like to blend it because I like chunks of fruit in my jam. 6- Enlist the hubby! Seriously, they are great mashers! That’s what I have been doing this week. 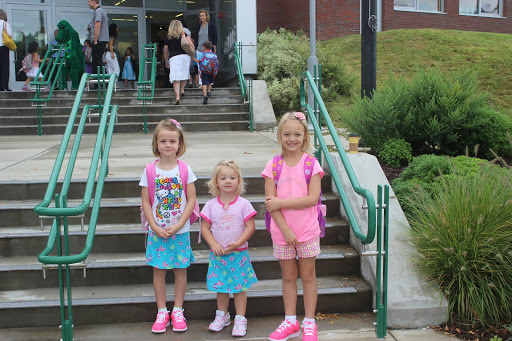 Oh and these cuties started school. The one in the middle thinks she is big enough to go to. 🙂 There may or not have been tears this last week from her….and me! I am having fun with my babies here at home! So cliche, but when did they get so big???? And I am addicted to crafting. 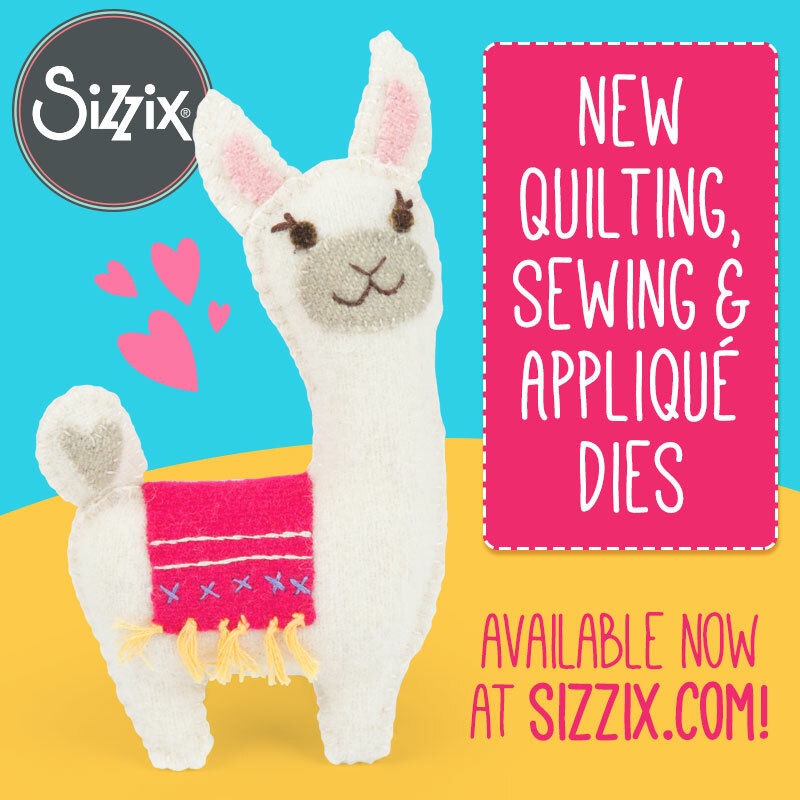 I love sewing, crocheting, cross stitching….. Pretty much anything that will keep me away from house work. I despise doing dishes, laundry, and especially picking up everyone’s crap around my house. With 4 little boys (and one fully grown boy) tearing through my house you can imagine the amount of mess I am dealing with! My addiction doesn’t help my problem either. When I am working on a project my craft room looks like a tornado hit it. Ok, maybe not a tornado, I live in Oklahoma and I have seen destruction from a tornado…. but it does get pretty messy. Jen and I have been friends since our oldest kids were babies. Our husbands both attended the same college, and we became fast friends. After a couple of years (and a couple of babies) we all graduated and moved on. We now have lived in different states for longer than we ever lived by each other. We still talk every day, and it is honestly crazy to think that it has been 4 years since we lived in the same state.